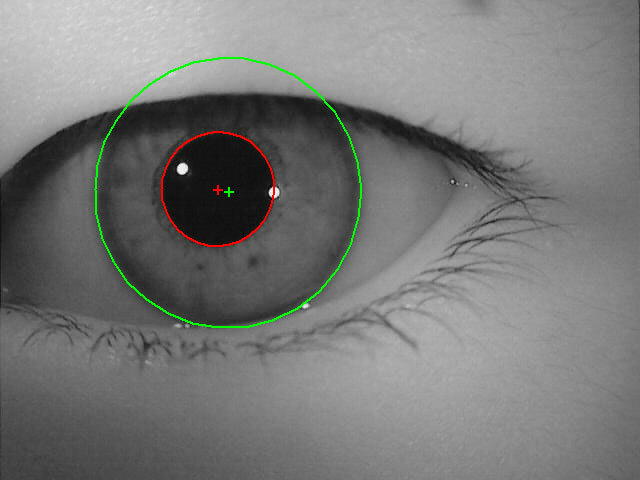 Contact lens detection can prevent spoof with fake iris images. 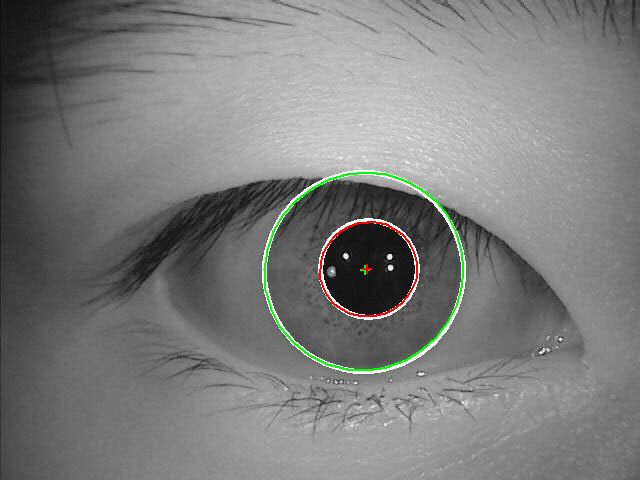 Gazing-away eyes are correctly detected on images, segmented and transformed as if it were looking directly into the camera (see Figure 1). Perfect circles fail. VeriEye uses active shape models that more precisely model the contours of the eye, as iris boundaries are not modeled by perfect circles. The centers of the iris inner and outer boundaries are different (see Figure 2). 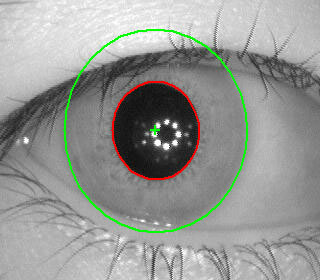 The iris inner boundary and its center are marked in red, the iris outer boundary and its center are marked in green. 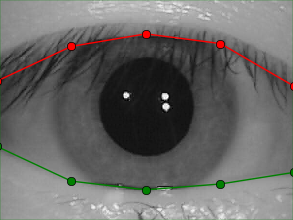 Iris boundaries are definitely not circles and even not ellipses (see Figure 3) and especially in gazing-away iris images. Iris boundaries seem to be perfect circles. The recognition quality can still be improved if boundaries are found more precisely (see Figure 4). Note these slight imperfections when compared to perfect circular white contours. Iris is partially occluded by eyelids. The upper and lower lids are marked in red and green correspondingly (see Figure 5). Reliability. 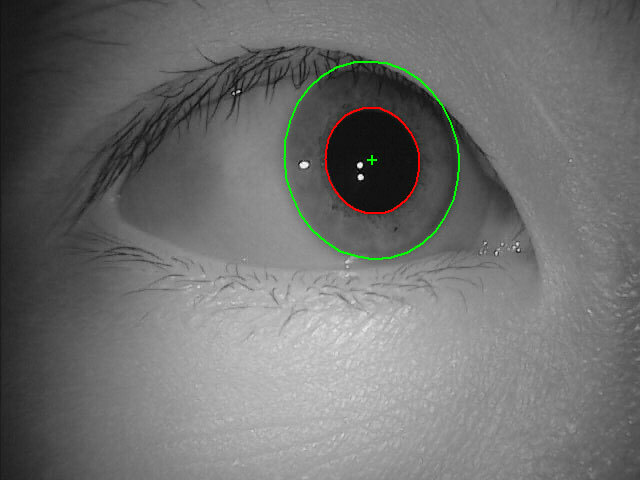 VeriEye algorithm has shown excellent recognition accuracy during the NIST IREX evaluations, as well as during testing on publicly available datasets. All presented iris images are taken from CASIA Iris Image Database V2.0 and CASIA Iris Image Database V3.0 collected by the Chinese Academy of Sciences Institute of Automation (CASIA) (www.cbsr.ia.ac.cn/english/IrisDatabases.asp).